AMMAN, Jordan — Syrian refugee Ammar Sawan took his first step toward resettlement in the United States three months ago, submitting to an initial round of security screenings. His dreams of a better life were crushed when President Donald Trump issued an indefinite ban on displaced Syrians entering the United States. Sawan said Saturday that he learned of the decision from TV news the night before. “When we heard of the order, it was like a bolt of lightning, and all our hopes and dreams vanished,” said Sawan, 40. He and other Syrian refugees in Amman bristled at the idea that they posed a potential security threat, saying they were both shocked and saddened by Trump’s ban. READ NEXT: Does limiting refugees deter terrorism? Close to 5 million Syrians have fled their homeland since the conflict there erupted in 2011. Millions more are displaced within Syria. 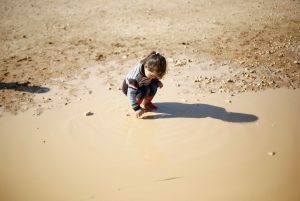 Most refugees have settled in overburdened neighboring countries, including Jordan, Lebanon and Turkey where the struggle for survival has become increasingly difficult. Savings have run out, jobs are scarce and poorly paid, while refugee children learn in crowded classrooms and have very limited access to higher education. International aid agencies harshly criticized Trump’s restrictions imposed on refugees. The International Rescue Committee said the suspension of the refugee resettlement program was a “harmful and hasty” decision. “America must remain true to its core values. America must remain a beacon of hope,” said IRC President David Miliband. The group said the U.S. vetting process for refugees is already robust — involving biometric screening and up to 36 months of vetting by 12 to 15 government agencies. Jan Egeland, the head of the Norwegian Refugee Council, said Trump’s decision hurts innocents fleeing extremist violence in Syria. This report was written by Karin Laub of the Associated Press. Associated Press writer Mohammed Daraghmeh in Ramallah, West Bank, contributed to this report.